Go Go Go!!!!! This Back to School deal came just at the right time. I have over 160 pencils to sharpen before next week. 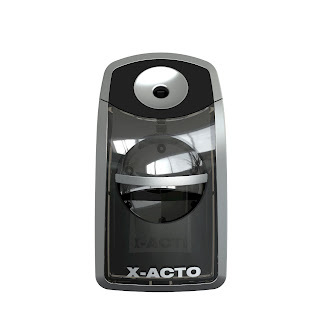 Right now, Amazon has a SUPER STEAL on the X-Acto Battery Operated Pencil Sharpener. Its on SALE, plus there is a $5 off "Instant Clip Coupon" to use too. Grab it for ONLY $8.98 and use it all year long! I can't wait for ours to arrive as this will save so much time!